Hot Water Got You Down? 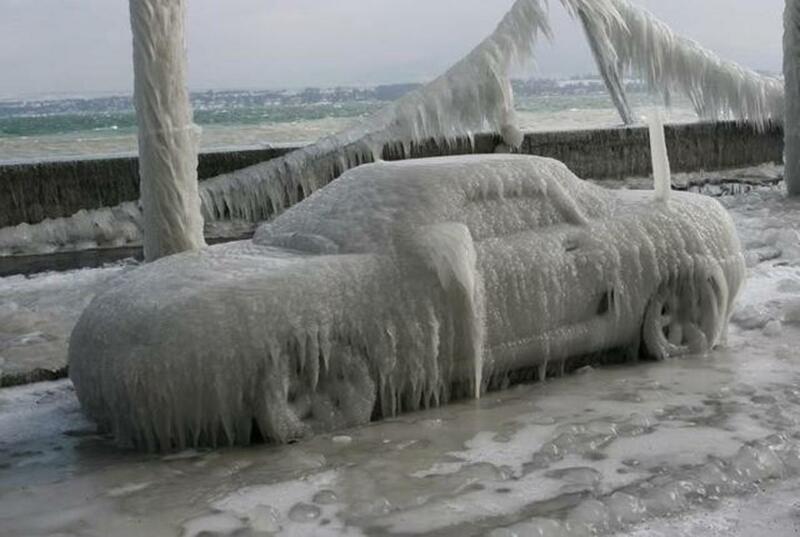 With white steam billowing from your engine compartment, it's quite obvious that your engine has overheated. Now it's time to consider the five potential diagnoses below to deduce what's causing your engine to overheat, so that you can dive in there and get it fixed ASAP, before greater damage is done. The list in this article of diagnoses for your overheating engine is not exhaustive, and neither is the list in any other article. 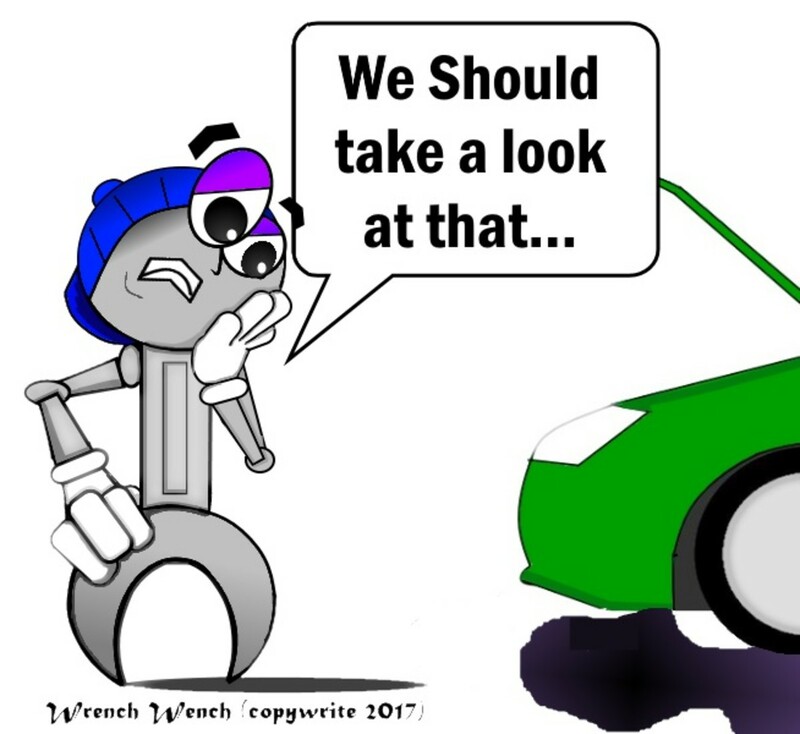 Every mechanic experiences their mechanic's journey differently, so their experience of "common" problems also differs. Because of the potential for human error, I always recommend that you check other sources BEFORE diving in, to be sure you're on the right track. 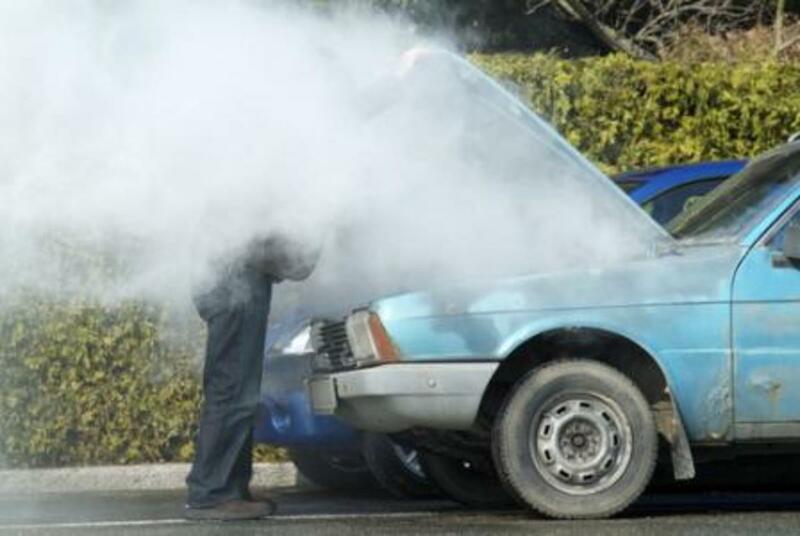 How Often Has Your Car Overheated in the Past Three Months? It hasn't, I'm just curious to learn more. Didn't there use to be water in there? There are numerous causes for an engine to overheat, but the first and most obvious guess is that the coolant system that has lost its most vital resource: water. 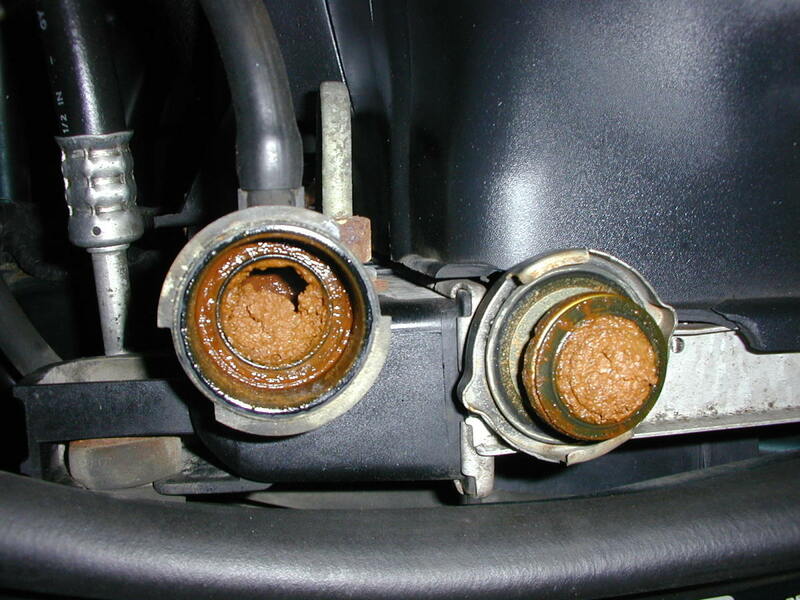 If you inspect your coolant system, and find it empty, the next step is to deduce the cause of your water loss. or eroded water pump seals. and/or a head gasket which has blown out. For eager automotive sleuths, your first assignment is to implement this process of elimination until you have discovered and repaired the reason your system lost all of its coolant or water. Alternatively, if they're all ruled out, it then becomes time to move on to potential diagnosis #2. There's a small device that works within your engine coolant system, known as the "thermostat." 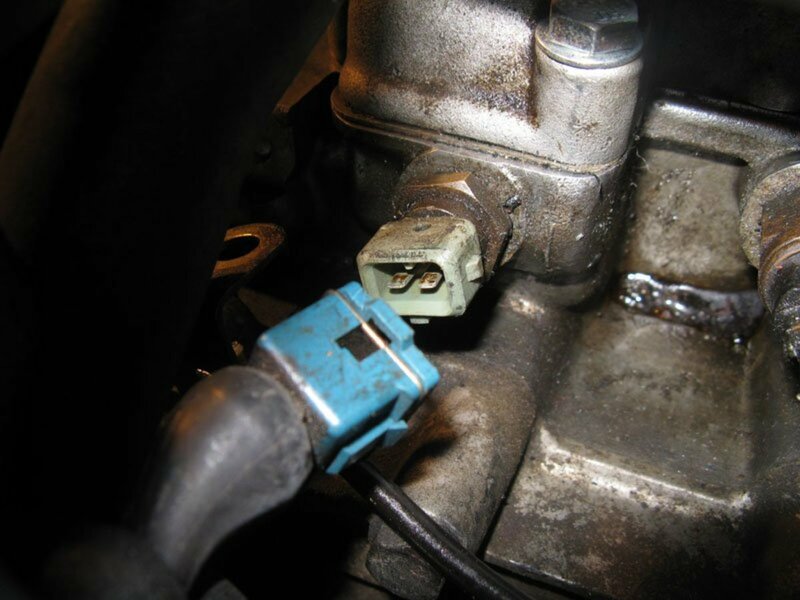 This mechanical device's function is to receive a signal from the temperature sensor, telling it that the engine needs coolant to flow, and then open its valve to allow coolant to flow throughout the block. This process was specifically designed to keep your engine from overheating, and that's why your engine's thermostat is the next most likely origin of your overheating engine problem. Thermostats are easy repair projects, and in most engines, they're exceptionally easy to access. These factors make it worthwhile to change your thermostat and its gasket, even if you find it's not the source of your overheats. If you're looking to save a few bucks though, take a few moments to clean the thermostat out and then put it back in with a new gasket and a super-clean gasket surface. Then, run the engine long enough to allow it to warm up. If there are no overheats, you have solved the problem. The primary duty of your engine's water pump is to work in tandem with the thermostat and temperature sensor to push coolant through the engine block whenever it requires it. If the pump stops spinning due to mechanical failure, vital coolant will not be pushed through the engine, leaving it vulnerable to overheating. If your water pump is still in the early stages of mechanical failure, the pulley will look crooked or become wobbly when the engine is idling. If it's already deteriorated much further than that, it could cause your accessory belts to squeal upon startup or under heavy loads. At the far end of the failure spectrum, your water pump will freeze up. This can cause the engine to no longer start. If the engine does start up with a broken water pump, you're likely to smell burning belt rubber right before the serpentine or v-belt snaps. 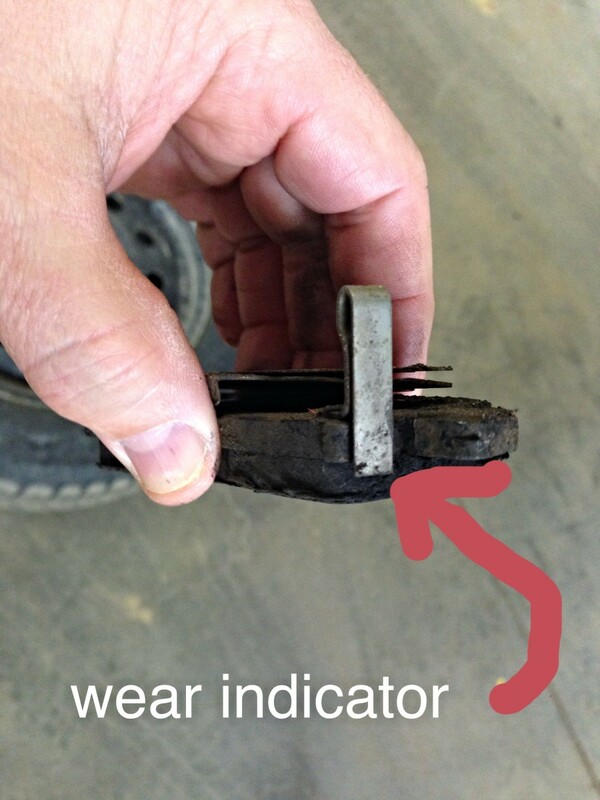 If your water pump is aligned right and isn't leaking, and your belts aren't squealing, move on to potential diagnosis #4. When it comes to oil leaks, you're going to have to put in the time to investigate all of the exterior gaskets on your engine. Should you find a large leak or several small leaks, then it's time to get to work replacing those gaskets or seals. The most common sources will be your valve cover gaskets, rear main seal, and cylinder head gaskets. 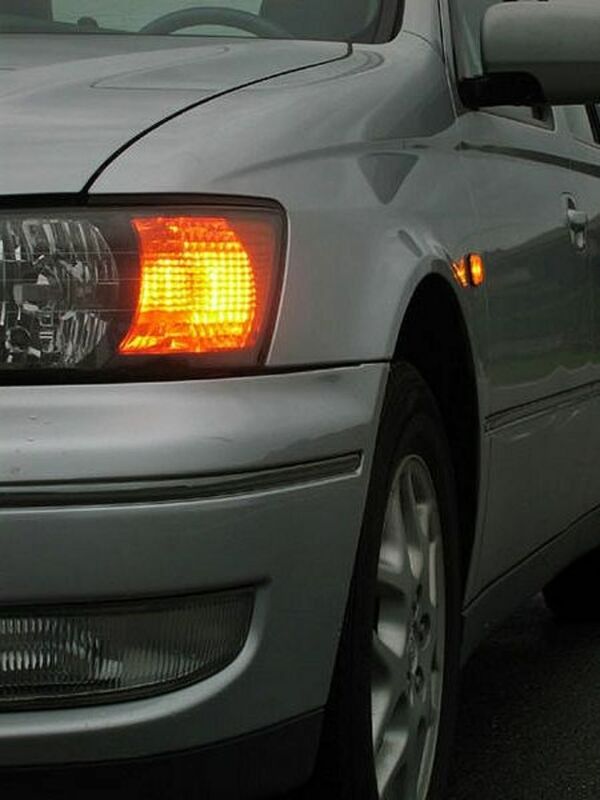 To discover if your engine is burning up its oil, start up your car and keep an eye on your exhaust pipes. An engine that is burning enough oil to cause an overheat will be producing billows of blue-tinted smoke from the tail pipes. If burned-up oil is the source of your overheats, then it's time to take your vehicle into your nearest automotive healer for deeper diagnostics. Or, if you're not intimidated by deep engine repairs, then your next assignment is to research, investigate, and deduce whether your engine has one or more blown pistons (uncommon), piston rings (common), valve seals (common), or valves (uncommon). NOTE: White steam, white smoke, and gray smoke are often confused for the BLUE-tinted smoke that indicates oil being burned. Get a few second opinions on the color of the smoke, and be sure it's not steam. When your engine coolant temperature sensor fails to do its job, neither the thermostat nor the water pump can do their duties, either: another common cause of an overheating engine. To diagnose a failed temperature sensor in most models beyond the year 1996, will need to have the OBDII codes read. If your vehicle is older, you might be lucky enough to find the OBD/OBDI reader and scan it with an OBDI scanner. Otherwise, the only way to find out if the sensor was the source of your coolant system failure is to replace it. Thankfully, temperature sensors are often exceptionally affordable and can be replaced by just about any monkey with a wrench. When it comes to diagnostic tools, my heart was won by Snap-On long ago, even though Snap-on is the Rolls Royce of tool companies, and their brand-name pricing was something I couldn't afford to invest in when I was just starting out as a mobile mechanic decades ago. Back then, I went for the best quality tools I could get for the most affordable price. When I needed a coolant pressure tester diagnostic tool, I turned to Stant. They fit into my budget, and although I have fancier brand name tools now, I also still have my old Stant pressure tester. I still use it regularly too, as my oldest son has just started getting interested in learning about mechanical repairs from dear old Mom. Coolant pressure testers are exceptionally useful for discovering leaks anywhere in your coolant system, but they make a significant improvement in your ability to make an accurate diagnosis if your overheating is from a loss of water through the cooling system. This is invariably helpful when it comes to sourcing several small leaks or a leak in your heater core. 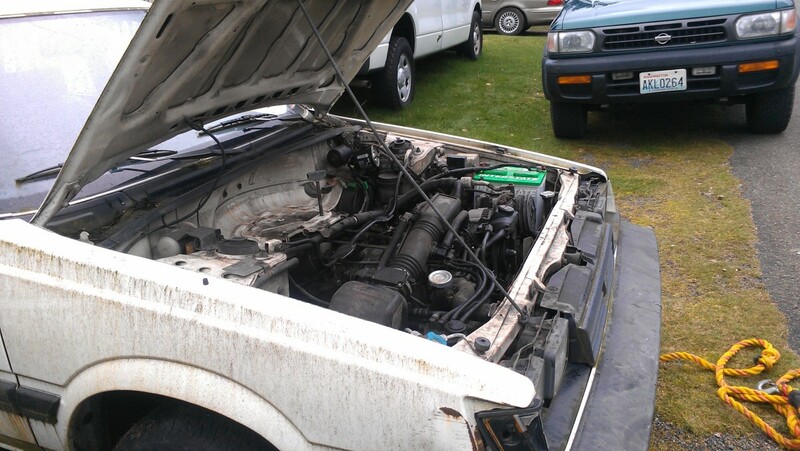 Did This Article Help You Diagnose the Source of Your Overheating Engine? No, it turned out to be a different problem not listed here.